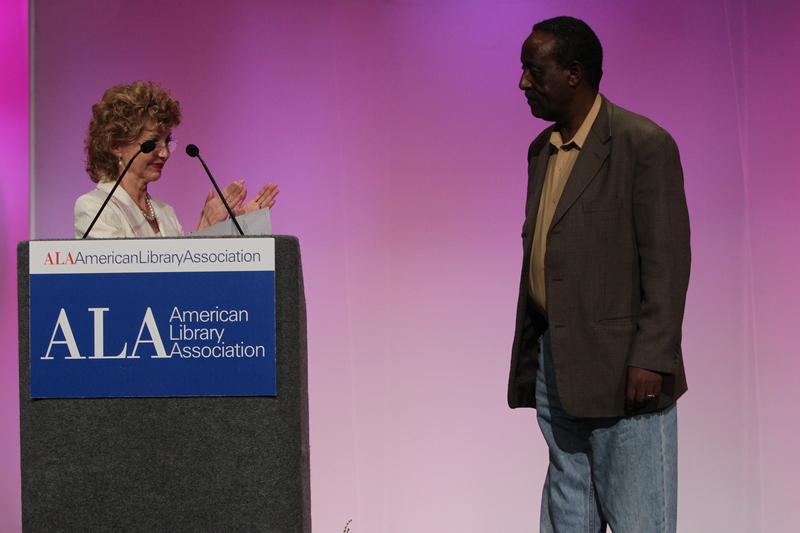 American Library Association President, Roberta Stevens presents Yohannes Gebregeorgis with a plaque naming him an Honorary Member of the American Library Association, the highest award that ALA bestows on an individual. 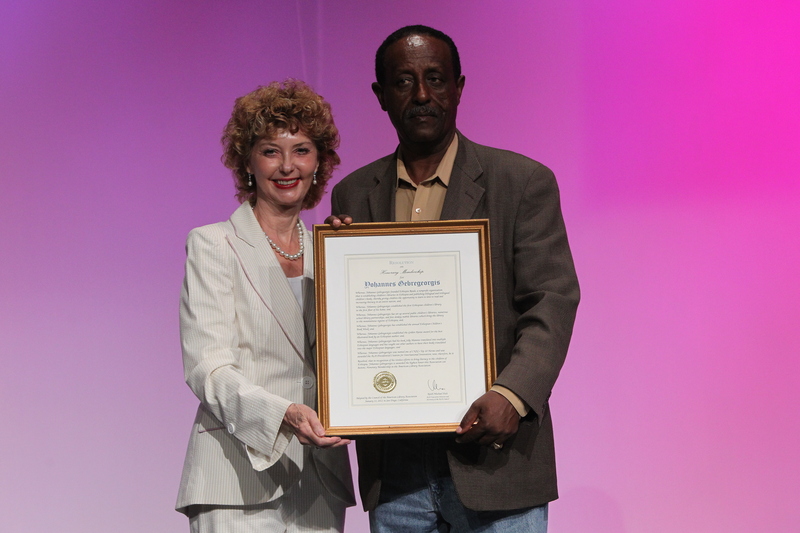 Yohannes Gebregeorgis, Founder of the Segenat Foundation, accepted Honorary Membership to the American Library Association in New Orleans during the opening session of the ALA annual conference on June 24, 2011. Honorary Membership is the highest award bestowed by ALA on an individual. 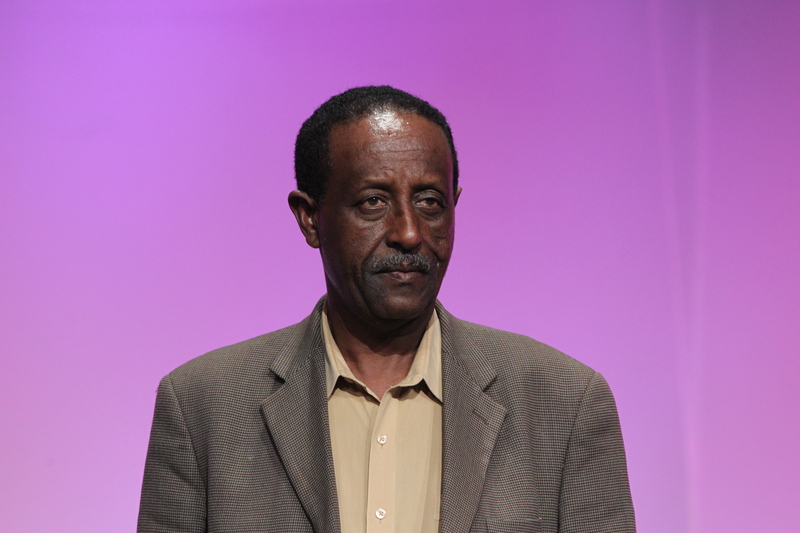 In 2008, Ato Yohannes was named a TOP 10 CNN Hero for his work in bringing libraries and literacy to his native Ethiopia. Throughout his career, Ato Yohannes has overseen the establishment of over 40 school library partnerships, three free-standing children’s libraries and seven donkey mobile libraries. He received the Presidential Citation for International Innovation in 2008 from ALA President–and his former professor, Dr. Loriene Roy, and was invited by ALA President Dr. Camila Alire to present the Presidental Keynote in Boston in 2010. Later that same year, he was honored with an Honorary Doctorate in Public Service at Regis University, in Denver, Colorado. And most recently, he was featured in “Changing the World: Stories Celebrating 100 Years of Graduate Education at the University of Texas at Austin,” published by the University of Texas Press. In addition to his beloved book, “Silly Mammo,” Ato Yohannes has written a new children’s book, “Tirhas Celebrates Ashenda: An Ethiopian Girl’s Festival.” Over 3,000 copies of this book were distributed during the Ashenda Celebration, which coincided with the dedication of the Segenat Library in August 2010. “Tirhas Celebrates Ashenda” was dedicated in memory of Dr. Thomas Hooyman, a professor at Regis University, and funded by the Cherry Creek Rotary in Denver, CO, where Dr. Hooyman had served as president. 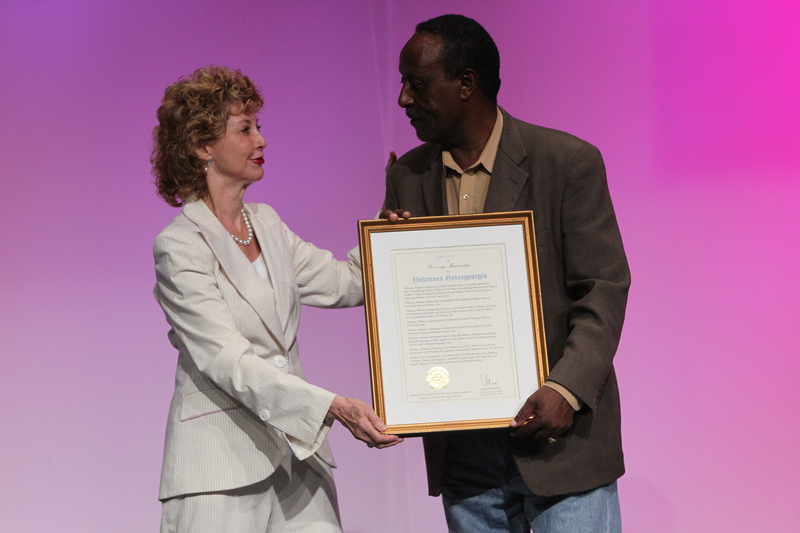 Yohannes Gebregeorgis receives Honorary Membership to the American Library Association.